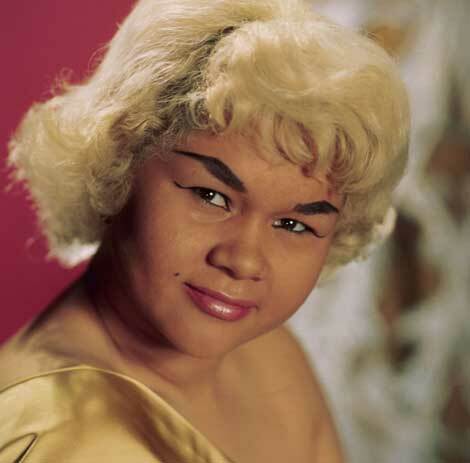 As a singer, Etta James was alternately under the radar or all over it. And that’s exactly how she was as a person, too. Stubborn, opinionated, passionate, loving, often drugged out and one of the best vocalists our country produced over the last 70 years, Etta has passed away and deserves a moment of your contemplation, regardless of where she was on your radar. Conventional media will no doubt cover all the details of her career. But it’s the personal stories that really explain how tightly she was tied into the fabric of this country. Or when Aretha Franklin’s father, Bishop C.L. Franklin, held her hand while she courageously battled a heroin addiction so powerful that she had run out of veins to pump the drug into after the ones in her forehead collapsed. How often does a future American icon slam the door in the face of two American icons because she likes to sleep in? And how often does a performer leave us with five decades of forceful, demanding, reassuring and heartwarming music? Etta was a living example of the forces of yin and yang, and she’s left us a legacy of music, beauty and friendship that may have been fueled by individual weaknesses and faults but was never consumed by it. Nothing is more transcendentally beautiful than that. Few things are more American than that. Good-bye, Etta. We miss you.